Do You Know Your Wine Personality? Your Free WinePrintTM Personality Profile will tell you! It’s a fascinating portrait of you as a wine drinker! Chosen by the experts at Forbes Wine Club, these are wines you’re likely to find elsewhere for about $20 a bottle. You save $180! Each one is a genuine “find” from a vineyard renowned for rich flavor and incredible value. Plus! 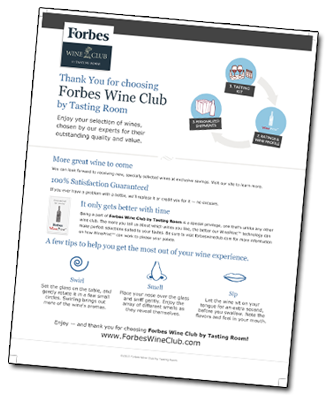 Only Forbes Wine Club offers you this choice: Personalized Selection or Sommelier’s Choice? 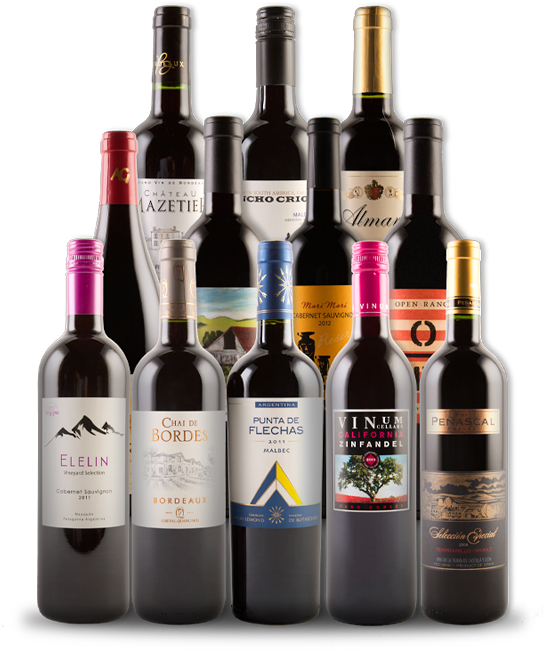 First select which 12 great bottles you would like to receive for just $59.99. This offer includes a free WinePrintTM Personality Profile and your wines will be chosen to match your profile. Includes our experts’ current favorites. Note: You can change your mind later. 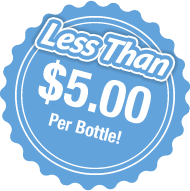 Pay just $1 today to reserve your introductory case!